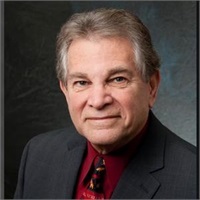 Phil Goldstein | 1st Financial Investments, Inc.
Phil heads the Insurance and Retirement-Planning Division of 1st Financial Investments, Inc. to assist professionals, pre-retirees and retirees with their individual needs. He has developed a unique and proprietary system which uses a step-by-step process to enable 1st Financial to determine which service or solution his clients need in order to assist them to achieve their goals. Phil is committed to professionalism and cooperative development with his clients' unique and personal goals- this philosophy forms the foundation of the individualized service that the entire office is proud to consistently deliver to its valued clients. Fixed Insurance Products offered through 1st Financial Investments, Inc. a licensed Insurance Agency in PA. Principal Guarantees and Income Certainty Guarantees are backed by the Financial Strength and claims paying ability of the issuing insurance company. Returns may vary. References made are to fixed-insurance products, and are not related to any SEC registered investment. 1st Financial Investments, Inc. does not offer tax or legal advice.